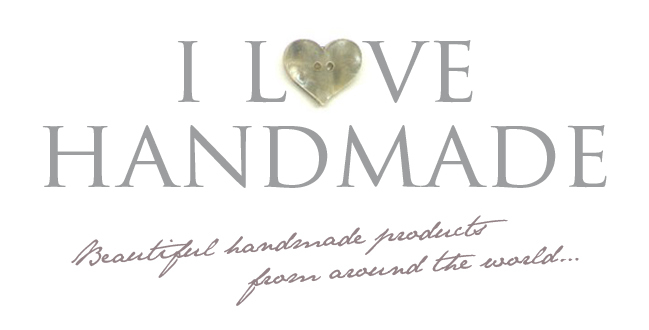 I Love Handmade was created in 2009 by UK based design company Dig The Earth and is dedicated to all the amazing handmade products that can be found on the internet! I Love Handmade is not dedicated to promoting one kind of craft, or any particular website…just dedicated to sourcing the best handmade items with that all important 'wow' factor! We love to read your comments, so please feel free to let us know your thoughts – good or bad! If you really love what you see, and would like to own any of the products shown – and let's face it who wouldn't, just click on the featured product image for a direct link to the artist's shop or website. If you do decide to buy, why not post a comment and let everyone know about your fantastic taste!